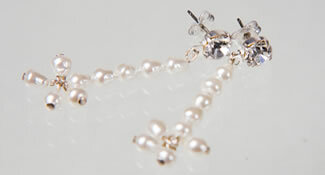 Excellent quality and very affordable Bridal Jewellery. Components include Swarovski Crystals & Pearls. Many jewellery items, such as Necklaces & Earrings, have matching Tiaras & Hair Accessories such as Hairpins and Hairbands.